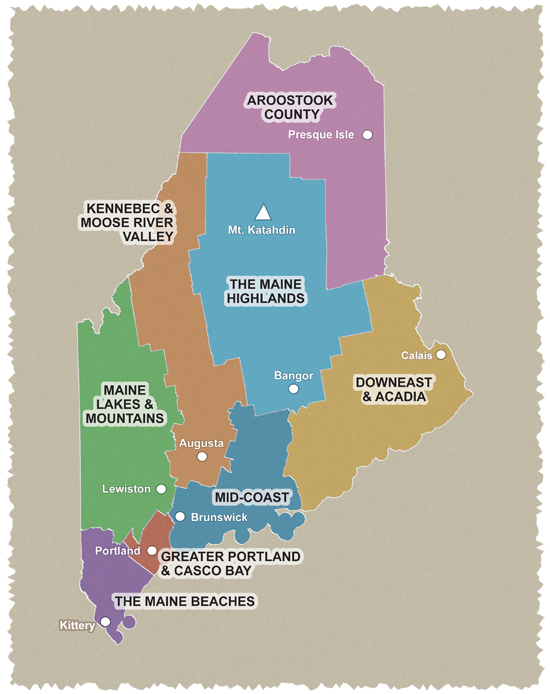 There is so much to see on these 25- and 39-mile loops through Downeast Maine that you may want to take the whole weekend to ride them. The fishing villages, beaches, and coves along the way beg additional exploration. The centerpiece of the 39-mile ride is the working fishing village of Stonington that in earlier times was home to several granite quarries. The area around the town of Sunshine is especially scenic in early June when the lupines are in bloom. With the initial out-and-back warm-up on the Eggemoggin Road, either of these loops can be extended by 5 miles. Road conditions: Generally fair with no shoulders. Wider road bike tires are recommended for these rides. Cautions: Traffic can be heavy on ME 15; roads are narrow and winding, and there are no shoulders. Starting point: To reach the starting point of the rides, follow ME 15 to Deer Isle. Parking is at the tourist information center on the right just after the Deer Isle Bridge.